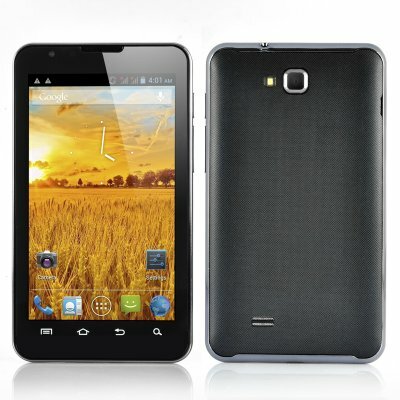 Successfully Added Dual Core Android 3G Smartphone - 5.3 Inch Display, Dual SIM Support, 2x Cameras to your Shopping Cart. 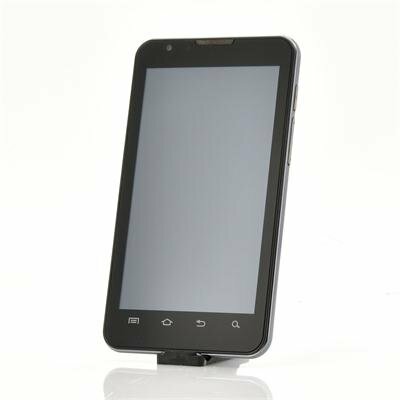 Dual Core Android 3G Smartphone is a simplistic, non expensive but highly useful communication device that has a 5.3 Inch Display, Dual SIM Support and two Cameras. This large screen smartphone is perfect for anyone wanting a reliable Android phone without the paying the huge prices that international brands demand. Coming with a 5.3 inch capacitive multiple touch screen, this phone is ideal for watching videos and other media content as well as playing games. Having an Android operating system ensures that this android phone has an extremely user friendly system. Users can access the Google Play store to download and install applications. Having a dual core processor ensures that this Android phone will deliver an efficient and rapid response every time it in use. There are also two slots to support two separate SIM cards, allowing the user to manage their contacts from just one device, which makes work and private life a bit easier. In addition to all this, there is a front-facing camera for web calls and a rear camera for capturing the scenic view that is around. In stock now, we guarantee that this dual core Android can be dispatched within one working day with a 12 months warranty. Brought to you by the leader in electronic devices and wholesale Android phones, Chinavasion. Only once had a hard factory reset because lost the operating system. Overall 8.5/10 but the price helped. The overall feel is a decent, slightly-weighty = solid phone with a removable battery; OK speaker, good headphone sound, sensitive mic, does everything I need. In the pack was a screen protector, which I immediately fitted (slightly tricky, need some patience). This gives a super-smooth finish and decent touch sensitivity, finger or stylus. This phone would have been state of the art 2012 - and is still good today. Clearly, the comments put in here DO effect the dispatch items - the cable (complained about elsewhere) is now as good as you can get - better than the one on my expensive tablet. Thanks, complainer! Battery life: get a USB => micro USB cable (I use a normal PC USB > 3 port hub with micro-USB cable) for occasional charging from PCs, and an app killer (I use Battery Doctor) to lighten the CPU load / save power. In general light use (20 mins phone, 1hr reading on Kindle etc) with un-needed apps killed, the battery just lasts......... 2 days. But, expect to charge overnight, or from a PC when there is one about. I run quite a few apps... next time, I'd go for a phone with more than 512M ram; it gets 'app-choked' sometimes and then runs VERY slow. RAM free-up apps are a necessity. Also, need more cores and perhaps a trick from Nvidia: use many cores + a super-low-power, slow as anything core which ticks over during times the unit is 'off'; that method pays dividends. !! There are NO specific bad points. For many this is an ideal 1st phone, for your parents or your teenager. This is not a top-end phone, but a decent/competent middle-ground player. And, as long as you keep them in hand, you can run the major apps OK. Awesome communication fast to reply still waiting to recieve my product so will comment more it comes but overall so far so good thanks Chinavasion. great smartphone,delivery very very speed!! i'v buyed 30 smartphone,never problem.Very great site!! !